Robert van 't Hoff's fame rests almost entirely on his design for a villa for the Henny family. In 1922, when Robert van 't Hoff went into retirement in England at the age of 34, his built oeuvre added up to a handful of traditional houses and two modern villas. Van ’t Hoff first major commission was for the De Lindt house, built in 1911 for his parents. When it was sold seven years later it was renamed Løvdalla, literally 'leafy dale'. Inspired by the British Arts and Crafts movement, it was executed and detailed in traditional materials and drew on local building types. As Van ’t Hoff was living in London, the work was done by A. Pastunink, a contractor from De Bilt, who also built his Villa Henny and 'model farm' De Zaaier. In 1913, having read of the activities of Frank Lloyd Wright, Van 't Hoff decided to see this American architect's work for himself. 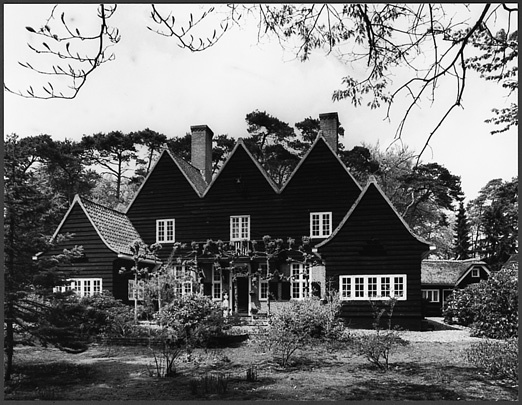 On his return to Holland he designed in Huis ter Heide in 1915 the Verloop summer residence and the private house Henny.